A classic choice when people think of Vegas luxury hotels, there's a lot more to this place than the free fountain show. Granted, you probably won't find us at these swanky joints. But that doesn't mean that there isn't value to be found. Due to the number of lodging options visitors have when visiting Las Vegas, competition is fierce and hotels have to maintain cheap prices in exchange for the services they provide. So even though there are plenty of cheaper options on and off the Strip for the true Cheapos out there, there is no denying the awesome value people with a slightly higher budget can receive at Las Vegas luxury hotels. 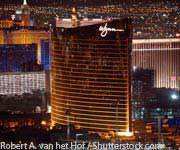 Las Vegas builders are constantly renovating old hotels, raising up new buildings and constructing extra towers. There is probably nowhere else in the entire country that offers so many fresh hotel options that are brand spanking new. Because of the increasing direction of making things more luxurious in Sin City (see: Treasure Island, Aria at CityCenter,Tropicana et al. 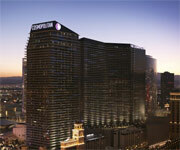 ), most of these new buildings ripe for the pickin' are luxury hotels in Las Vegas. Another plus to staying at luxury hotels in Las Vegas are the free perks that come with being a privileged guest. In addition to the complimentary hotel room amenities there are on-site exhibits and shows that allow you to not have to travel far to be entertained (and by not having to travel far, we mean taking the elevator downstairs). This CityCenter non-smoking, non-gaming hotel is a shining beacon of light and fresh air amid the Las Vegas Strip. These extravagant suites can be two or three times the size of a standard room. In other words, bigger than our house. Some of our own favorites, although we aren't afraid to go somewhere else when the right deal strikes. The Signature at MGM Grand: An all-suite luxury hotel, each room comes with its own kitchenette, perfect for those who want to save some money and cook their own meals (you have to save somewhere, right?). The Signature at MGM Grand is a couple blocks off the Strip but fantastic private pools and private balconies more than make up for it. 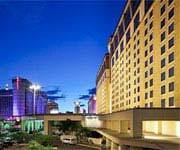 Book through Blue ChipVegas for great deals! Vdara Hotel at Las Vegas CityCenter: This non-gaming, non-smoking hotel is one of the best luxury hotels in Las Vegas. Part of the new fancy pants CityCenter, Vdara offers impressive technology in each room and close access to the Aria Hotel and Cosmopolitan. 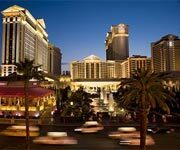 Bellagio Las Vegas: For those that prefer to stick to tradition (or are organizing a sophisticated 11-man casino burglary operation), the Bellagio Hotel is still one of the best luxury hotels Vegas has to offer. Tasteful furnishings and marble floors will have you feeling like a king. For those looking to spend some major dough, there is major luxury to be found with Las Vegas luxury hotels. If you can afford it, there is no better place to live like a king, walking around town like you own it. Especially when you split costs with a group of friends or maybe get a few comps, the value of staying at a luxury resort in Vegas can be superb. 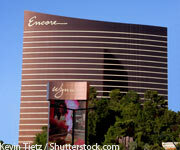 If you can't afford it, many of these luxury hotels offer Las Vegas coupons to let even us cheapos live a little large. Or at least pretend we do. Amid all the crazy lights and razzle dazzle of Las Vegas, all that glitters is not necessarily gold. However, there are definitely still some high-quality Las Vegas luxury hotels that will wow any visitor looking to have a high class experience. For the extra ambitious, most of these luxury hotels in Las Vegas feature suites and other upgrades in room size which result in rooms that are larger than our real world living quarters back home. Whether you choose this route or not, staying at luxury Vegas hotels guarantee an abundance of things to do and foods to eat that will keep you completely occupied on the premises. With a variety of Las Vegas deals available on a daily basis, the luxury hotels Vegas is known for can actually be cheaper than you think. The key is to pick an off-peak weekend or weekday where the Strip will be less crowded. Trust us, it's easy to have fun in Vegas no matter what day it is - especially in these posh Las Vegas luxury hotels. So before you go ragging on us for selling out on the roots that make up Cheapo Vegas, hear us out on some of these joints. And be prepared to take a few extra deluxe name brand toiletries - and if you're luck a sewing kit or two - home with you.